Thanks to the incredible courage and resilience of very young border defenders, these battles will forever remain in history, as will the names of 108 young men who did not come back from Kosovo. Among them was Tibor Cerna from Debeljaca. 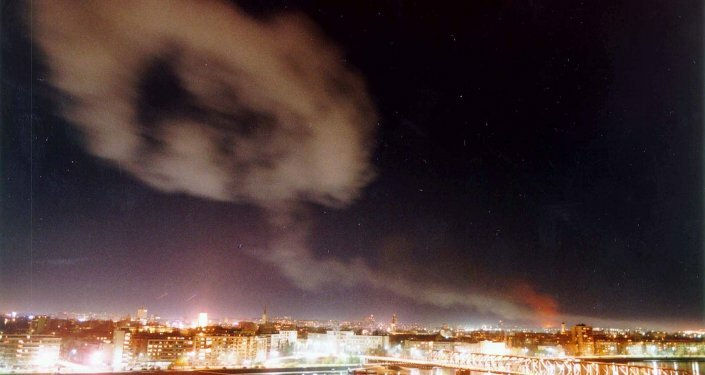 The bloody clashes between the Yugoslav and Albanian border guards, who were supported by members of the Kosovo Liberation Army, began even before the bombing. The Yugoslav border guards had been trying to prevent the flow of illegal arms from Albania to Kosovo. The most brutal and prolonged battles on the border with Albania were fought at the Kosara frontier post. Armed clashes continued here from 9 April 1999 until the very end of the NATO operation, on 10 June. The soldiers, who survived under the Kosara post despite the unequal balance of forces, managed to block the path of the Albanian terrorists to their land; they call those events "Kosara Hell". 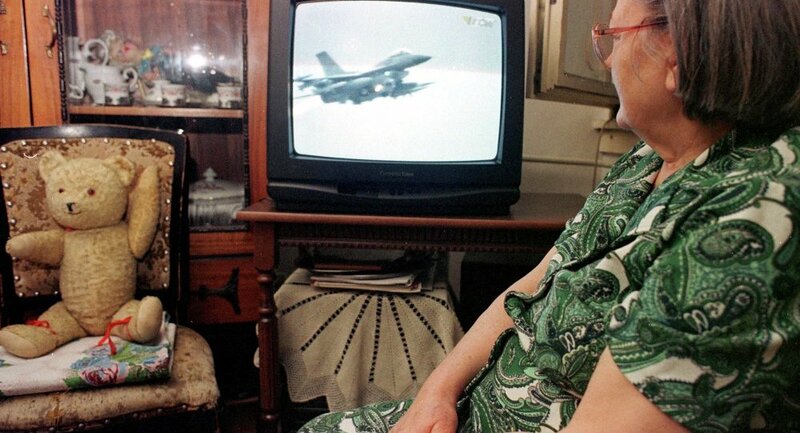 The KLA fighters tried using a surprise attack to provoke the Yugoslav People's Army into retaliatory actions, luring them into open spaces, where NATO aircraft would have been able to bomb them. READ MORE: How Did NATO's Campaign in Yugoslavia Change the Alliance? On 24 June 1998, Tibor Cerna, a young Hungarian from the town of Debeljaca in Serbia's Vojvodina, left his family and the folk group in which he played the keyboard, and voluntarily joined the army. He was sent to Kosovo: first to Pec, and then even further south to the very border with Albania, to Djakovica. Despite the fact that military training for recruits was supposed to take six months, he was sent to the front only two months after being sworn in. "During the oath, they already had "Škorpions" (Czech submachine guns produced in the 80s in Yugoslavia under license — ed. note Sputnik) and by the day of the swearing-in, they were 100% prepared to fight. With the help of some connections, we could have saved him from being sent to the front. But he was stubborn. And so, he came home from Kosovo in a coffin", Tibor's father, Jozef Cerna, recalled. Very young men of 18-22 years old fought to the last for Kosara against a ten-fold superior opponent. They held their ground under tank and mortar attacks and under the bombs of NATO aircraft. Their task was to defend their line at any cost. "They crawled in this snow, dug tunnels and holes. They had nothing with which to warm themselves up. Sometimes they did not eat for three days and there was nothing to drink. Sometimes they sat without ammunition. For the army they were ‘collateral damage', they were written off long ago", Tibor's father recalled. On that ill-fated day not far from the trench in which infantry squad commander Tibor Cerna and his colleagues took refuge, a grenade hit the group of volunteers. To help them, Cerna went out of the shelter and immediately took a bullet in his chest. He was shot by a sniper. "He wanted to come out of there to drag the volunteers to him because they were asking for help. There was an order not to leave the cover. But Tibor went anyway. He said to his comrades: ‘You don't have to go with me. I will do it myself'. And came out. They say he tried to bandage his wound himself, even took a bandage out of the package, then he fell to his knees and collapsed", the hero's mother, Kata Cerna said. Already seriously wounded, Tibor was able to hold out until the second shot, which hit him in the neck. Thanks to his sacrifice, they were able to locate the enemy sniper and eliminate him. "I have information that it was not an Albanian who killed him, that it was a mercenary. If this is true or not I do not know. But they say that foreign mercenaries fought here, that such a mercenary from some of the western countries shot him down", Kata continued. The official data on the losses of the terrorist KLA testify to the participation of foreign legionnaires in the battles for Kosara. Among the dead were two NATO soldiers. "I myself am half German. I wrote to my relatives after the death of Tibor that because of them this nation suffers again, and along with it, my son suffered. And it does not matter that I am not a Serbian. I was born here, my father was born here, and my grandmother was born here", Tibor's mother continued. A few days after Tibor's death, the Yugoslav Army launched a counter-offensive against the KLA terrorists in order to regain their positions at the Kosara frontier post. But NATO aircraft bombarded them with cluster bombs. More than 40 combatants were injured, 8 of them died. The body of Tibor Cerna was given to the family without the presence of military officers; he was buried without military honours. However, the state did not forget about Tibor and his comrades. All of them were awarded for their courage, and a monument to the hero of Kosara Tibor Cerna was erected in his native Debeljaca.